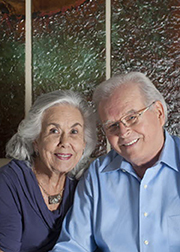 Carolyn Wickwire has made her distinctive name in the local theater and film community in just the not-quite-four years since she and her husband, playwright Dennis West, moved here from Dallas. Coming off a recent long run in a one-woman show, O’Keeffe! 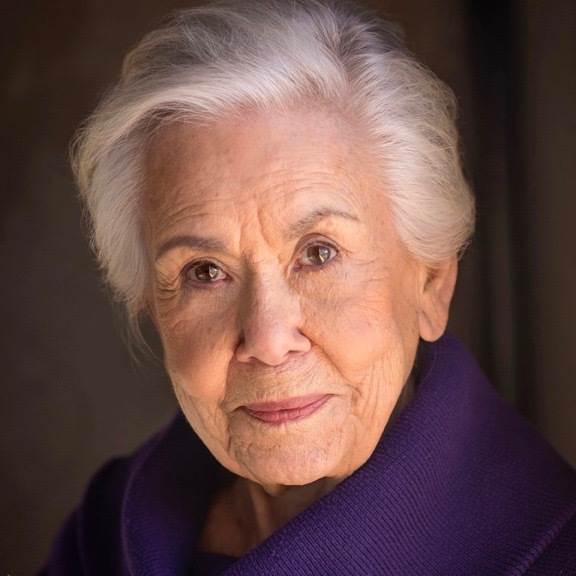 by Lucinda McDermott, the actor made her Albuquerque debut in Mother Road Theatre Company’s Enchanted April. Since then, her name has been attached to such prominent productions as Separate Tables (West End Productions), Dividing the Estate (Adobe Theater), and The Lady in Question (Vortex Theatre). So when I read about a judge named Carolyn Wickwire in a novel by Michael Connelly, author of the Harry Bosch and Lincoln Lawyer series among others, I mentioned it to her. “Each time Connelly has a new book, he puts on a charity auction to have a character named for the winning bidder. I decided this was the year!,” she said. Actually, each year has been THE year since she was 50 and decided to go into acting. A really good year was 1997, when she played Hal Holbrook’s wife in the movie Eye of God by Tim Blake Nelson and starring Martha Plimpton, Mary Kay Place, and Nick Stahl. Another awesome year was the time she jumped out of a plane for her 75th birthday (see the video at carolynwickwire.com/about-me). Then there was the happy year she married Dennis, and the year they rescued their adorable shelter puppy, Babe. Other years have seen her in Better Call Saul, Longmire, and In Plain Sight, an impressive list of nearly every major TV show filmed here. Carolyn recently was cast in a reading of a new play, Bookworms by W.G. Allen, at the Adobe Theater. Aside from reading detective novels, Carolyn is co-founder with her husband of Flower and Bone Productions (flowerandbone.com), a company devoted to producing one-person plays. Their latest collaboration is The Babe You Don’t Know, a play about George Herman “Babe” Ruth that Dennis wrote and will star in, directed by local screenwriter Angela Wilson. He counts himself lucky to have Carolyn as his editor. Premiering in Albuquerque in July at VSA N4th Art Center (brownpapertickets.com), this one-man play answers your questions about The Babe, like how many no-hitters he threw, and whether or not he was a rascal as legend has it. Even if he was a rascal, the play is family friendly or, as the site tells us, “A 10-year-old Little Leaguer and his/her great-grandfather can share laughter and tears together.” Tickets go on sale June 1.